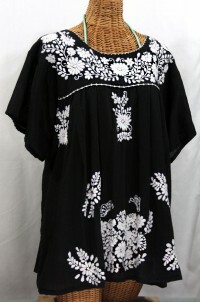 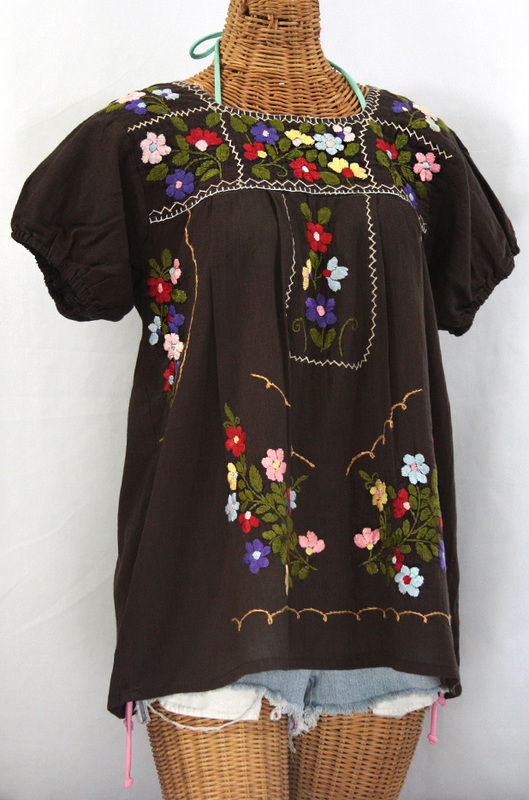 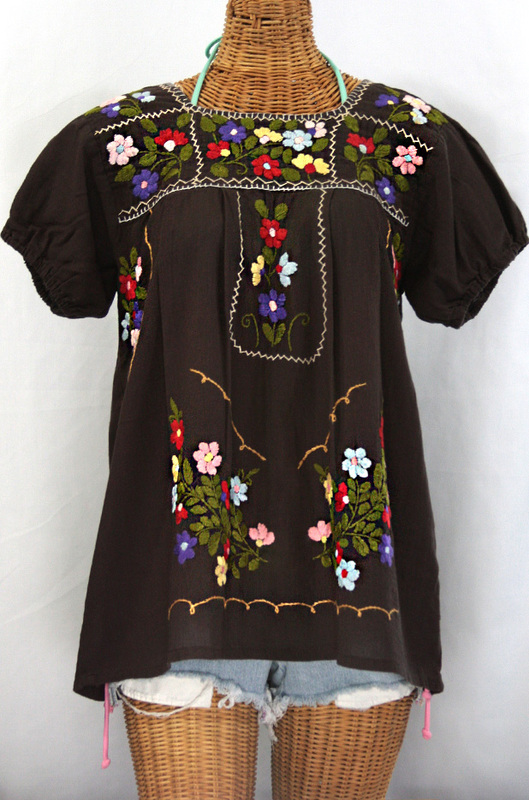 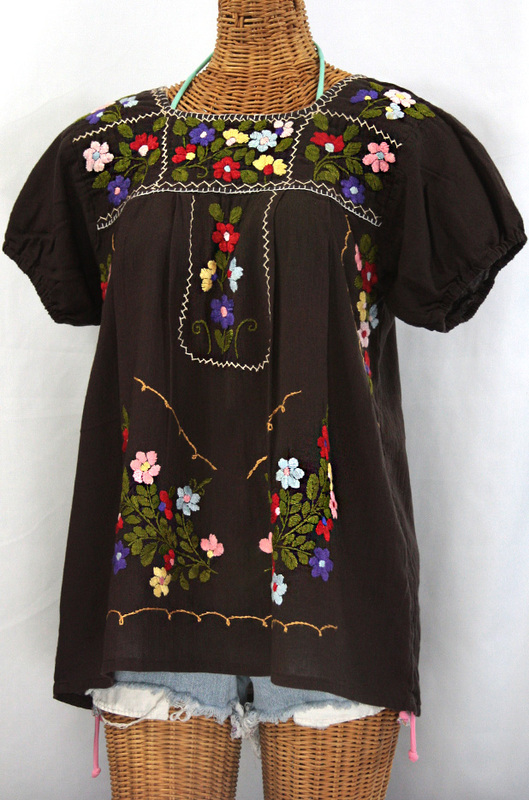 • Ornate floral embroidery stitched by hand with gathered puff sleeves in the traditional Mexican style, available here in brown with multi-color embroidery. 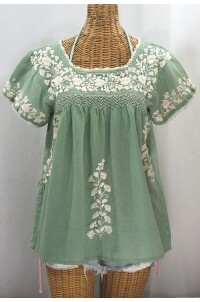 • Light, gauzy and semi-sheer 100% cotton dyed and distressed by hand for a vintage bohemian look and feel. 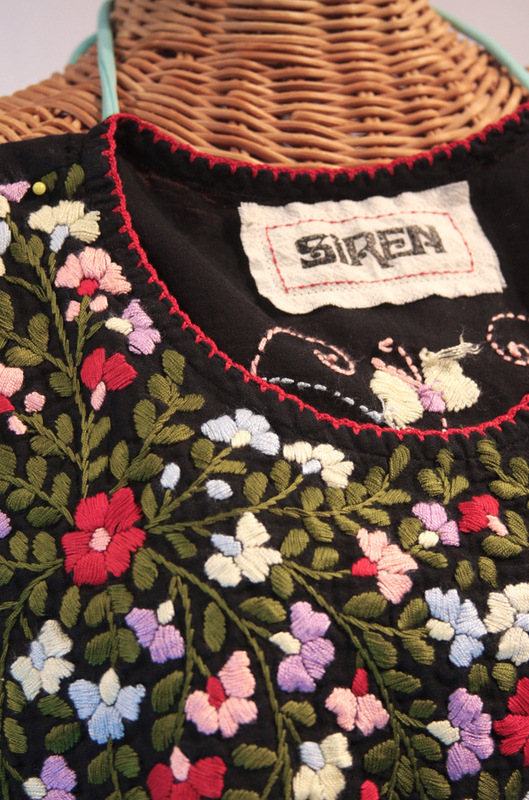 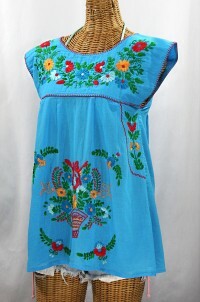 • Embroidered entirely by hand in homage to the "Huichol" or "China Poblana" blouses of the past. 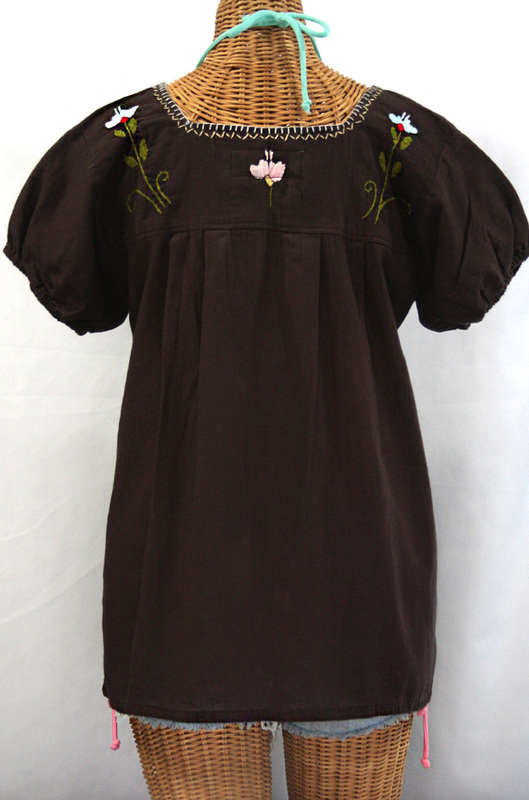 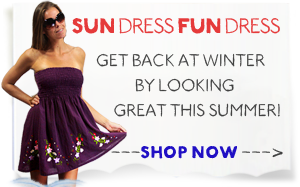 Bust (all the way around): 41"
Sleeve Length (armpit to sleeve hem): 5"